Samsung Galaxy S4 has “Power Saving Mode” feature which you must have read in 15 Ways To Improve Your Samsung Galaxy S4 Battery Life. 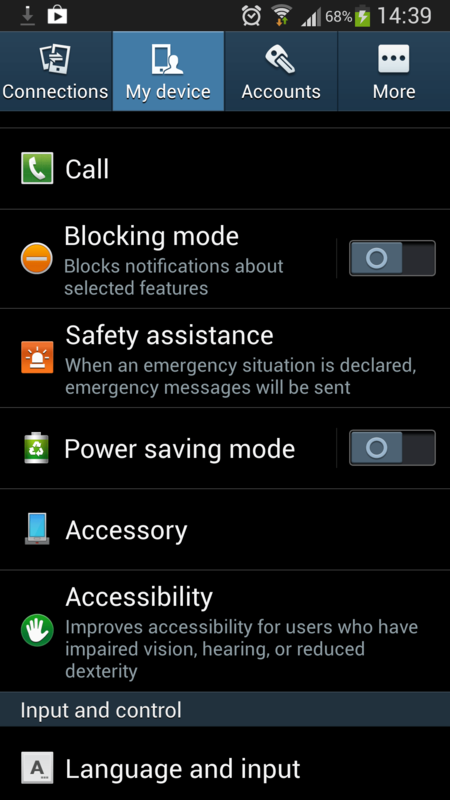 Here’s how you can use power saving mode on the Samsung Galaxy S4. 1. Swipe down from the notification shade. 2. Tap the icon in the upper right corner to access power saving mode. Your phone’s CPU will be throttled, the background colors will be changed, and the brightness will be lowered to save your battery power. This is Samsung initiative to save some battery life, but it does cost performance, we feel CPU giving less power and Apps opening pretty slow. If your battery usage is high, we suggest you checking out Zero Lemon or Mugen or Hyperion Extended Batteries. Product guy in London. Beer Lover. Photographer. Metalhead. Geek. Foodie. I tweet about Football. A lot.